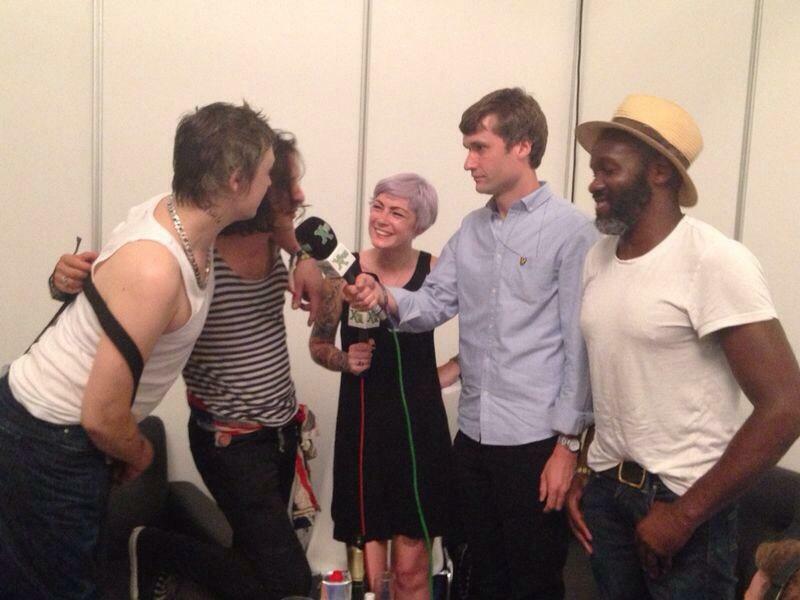 XFM interview with Libertines at Benicassim - THE LIBERTINES! Interviewer: Hello, Peter, Carl, John & Gary, how are you? Interviewer: Really well. Really good. Great to see you guys too. Let's talk about Hyde Park. Interviewer: Cause that was a pretty special moment. 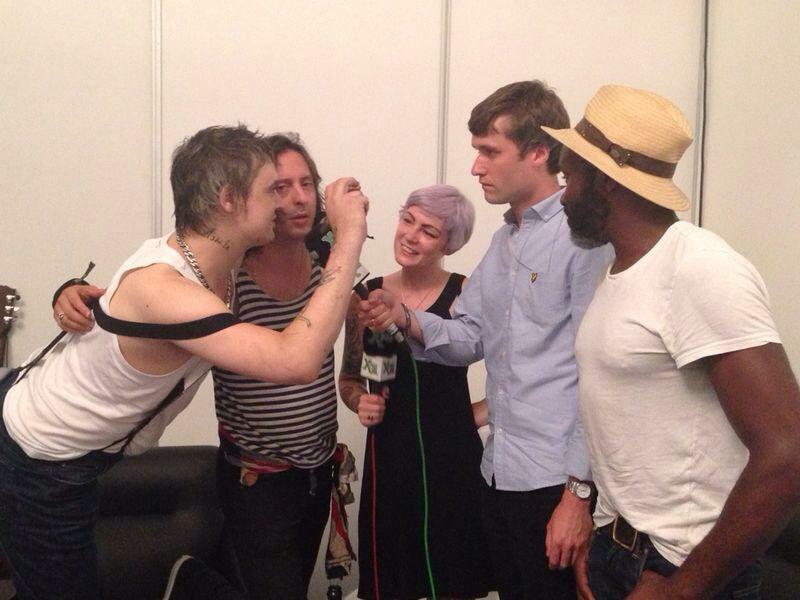 Interviewer: The biggest gig the Libertines have ever done. How was that for you? Peter: Incredible. Yeah. It was manifique. It was amazing. Splendid. Yeah. In fact, we used to busk in Hyde Park, believe it or not. Carl: We used to do around Speaker's corner on a Sunday. We used to do an act. Me and him. Where I'd play Seamus. Interviewer: Let's talk about Ally Pally. Cause that's very exciting. That only just got announced. Sold out immediately. You had to add another day. That's going to be really exciting, those gigs, right? John: I think Alexander Palace, that's going to be a really great gig. Well, gigs. It's going to be amazing. Peter: What John's trying to say is that were going to be doing some new songs at Ally Pally. Hopefully. Peter: Yeah. Yeah Isn't that what you're saying John? Carl: Is that what you're saying John? John: Yeah, kind of. Yeah. Carl: Putting it out there aren't you? Interviewer: So where have these new songs been written? What..
Peter: We were just working on one now you see, before you came in..
Peter: ...which is why there was a small delay. Interviewer: So can you tell us anything about these new songs? Interviewer: That sound is in a new song. The wonderful sound of a vintage typewriter. Peter: ...little bell go ding. Interviewer: And is there plans for a whole new album or is this just a couple of songs. Where are you going to go with this? Gary: I think that would maybe be the plan to do a new album. But hopefully we're going to maybe try something that is a little bit different. Everybody does an album. Everybody does an EP and just kind of releases it. You know, we want to do something that might be a little bit more special than *just* release another album. You know everything that we do is something that has to do the conductivity between us, and our friends and family, being the fans, we want to do something slightly different for them. Interviewer: I'm feeling so much love in the room right now. It's gorgeous. 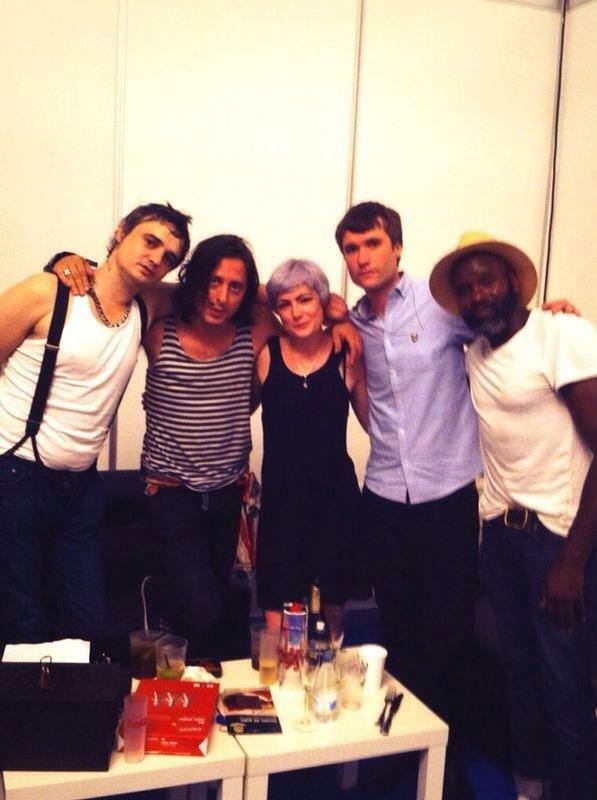 Everyone should have a hug..
Interviewer: You know what guys, have an amazing Benicassim. It's going to be incredible. I can't wait to be down there at the front. Funny and beautiful, all of them!! "You know, we want to do something that might be a little bit more special than *just* release another album. You know everything that we do is something that has to do the conductivity between us, and our friends and family, being the fans, we want to do something slightly different for them."? I'm guessing they are going to be putting together extras to go with the album?? ...dare I hope maybe Roger's video of the summer shows etc? ?